Water is one of Morgan Hill's most precious resources. Our hot, dry summers have always made water conservation a top priority. With a little planning, gardeners and landscapers can reduce the amount of water that goes to weeds, while still maintaining healthy plants. Take a look at your landscape. It looks peaceful and serene, doesn't it? The truth is, it's a battlefield. Each plant is fighting its neighbor for food, water and sunlight. Weeds, in particular, are survivors. Unlike many garden and landscape plants, weeds often thrive in any soil, with minimal water and limited food. They grow fast, shading out desirable plants, stealing water and nutrients as they grow. They tend to go to seed faster than everything else. Generally, weeds take away from the overall appearance and performance of a landscape. So, what are weeds? Very often, weeds are the plants that survive after we try to kill them. They seem to thrive everywhere and they provide no benefit in the form of food or beauty. They can also create fire hazards that threaten life and property. Many people use herbicides to rid their yard of weeds because it is fast and easy. This is a short term view. Regularly applying herbicides to the same area can develop resistant varieties. This means the next weed generation cannot be killed with the same herbicide. Sooner or later, you will run out of herbicides to choose from. Herbicides can also threaten your landscape and garden plants through run-off and wind distribution. If chemical herbicides are used to eliminate weeds, it is extremely important that the correct herbicide is used, and that package directions are followed exactly. Most weeds can be controlled by hand weeding, good garden design, mulching, and keeping garden plants healthy enough to defend themselves. A 4” layer of mulch can significantly reduce the number of weeds. Mulch also stabilizes soil temperature and reduces evaporation of irrigation water. Good garden design incorporates proper site preparation for each plant, choosing plants suited to the Morgan Hill climate, and installing "smart" irrigation. In areas without plantings, porous ground covers, such as permeable pavers, can allow the soil below to breath and receive rain water. These practices work together to reduce weeds and to conserve water. Watering a garden or landscape is necessary to keep it healthy. Smart irrigation means improving watering efficiency and distribution to ensure the water goes where it is needed and not to the weeds. Drip irrigation, “smart” irrigation controllers and rotor heads, and soaker hoses can significantly reduce water waste. Plants that use a lot of water during the summer, such as roses, can be watered with plastic jugs buried in the ground. Simply cut the bottom off a 1-liter plastic bottle. Dig a hole a little deeper than the bottle and fill the bottom 1-2” of the hole with gravel or rocks. Place the bottle so that only the small opening on top is above the soil line. When it is time to water, use a hose to fill the bottle. This prevents watering weeds and it gets the water to the root system, where it will provide the most benefit. If a system is already in place, be sure to check for leaks. 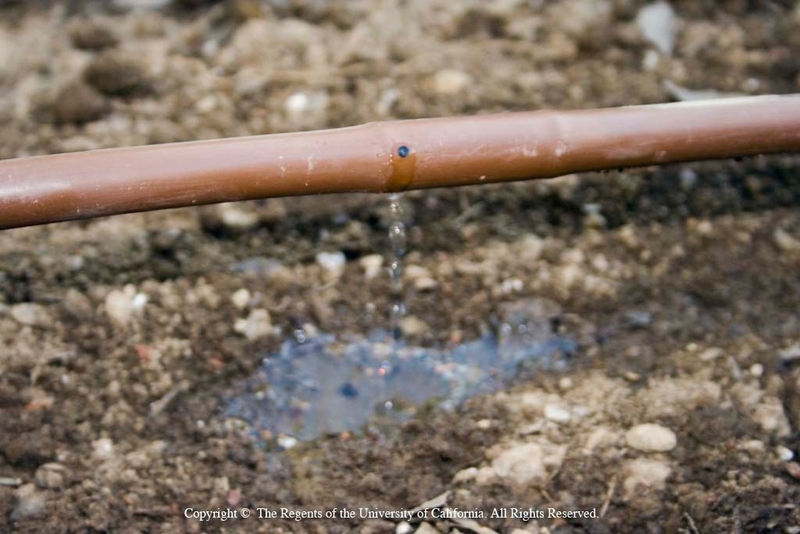 A leaky sprinkler system can drown precious plants, help weeds to thrive, and can even kill sections of soil. Putting water where it will do the most good, in a way that reduces evaporation and run-off, will ensure that Morgan Hill gardens will have the water they need. 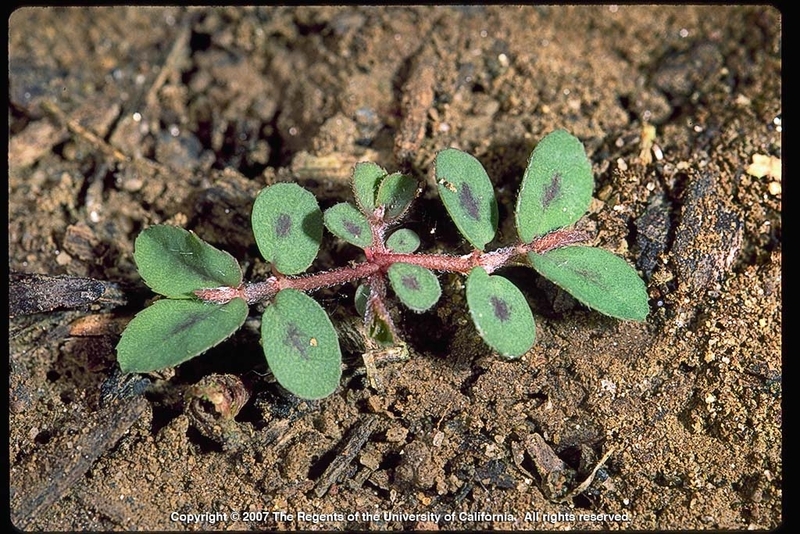 You can learn more about weed management from UC IPM. You can also contact your UCCE Master Gardener Hotline by calling 408-282-3105 between 9:30 a.m. to 12:30 p.m., Monday through Friday or submit questions online. This article first appeared in the July 26 issue of the Morgan Hill Times.